An international team of scientists has found evidence of a series of massive supernova explosions near our solar system, which showered the Earth with radioactive debris. The scientists found radioactive iron-60 in sediment and crust samples taken from the Pacific, Atlantic and Indian Oceans. 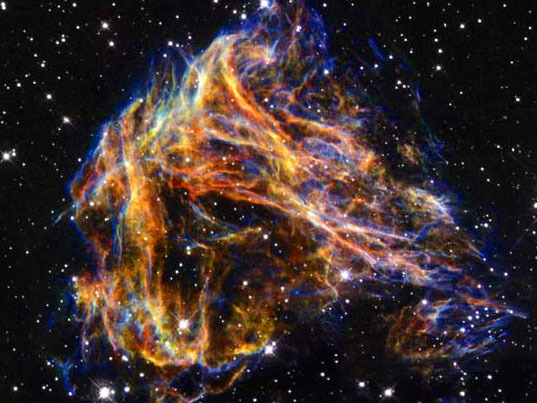 Some theories suggest cosmic rays from the supernova could have increased cloud cover. 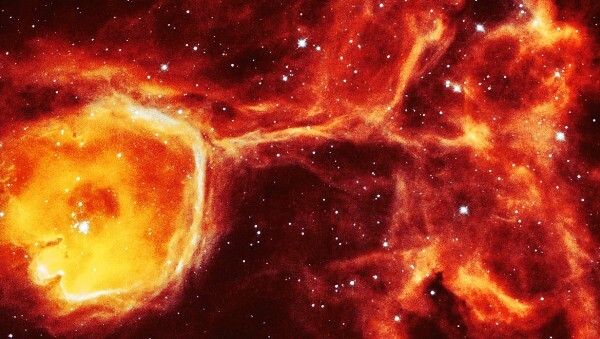 The scientists believe the supernova in this case were less than 300 light years away; close enough to be visible during the day and comparable to the brightness of the Moon. The supernova explosions create many heavy elements and radioactive isotopes which are strewn into the cosmic neighborhood. 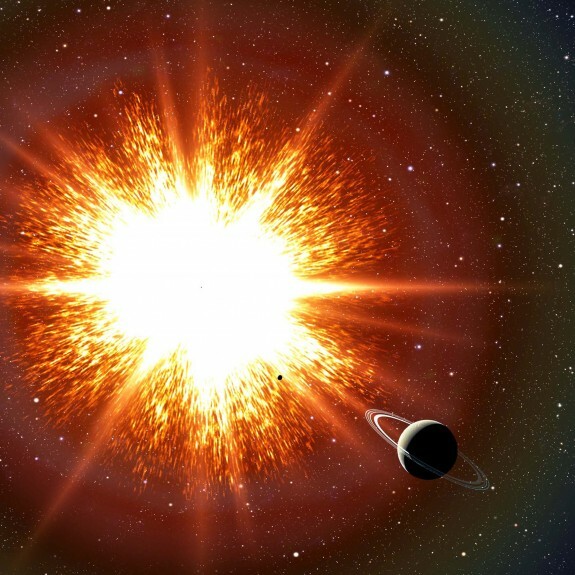 Although Earth would have been exposed to an increased cosmic ray bombardment, the radiation would have been too weak to cause direct biological damage or trigger mass extinctions. Any iron-60 dating from the Earth’s formation more than four billion years ago has long since disappeared. The iron-60 atoms reached Earth in minuscule quantities and so the team needed extremely sensitive techniques to identify the interstellar iron atoms. 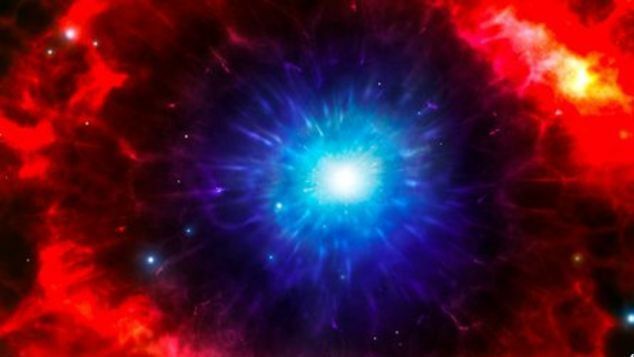 A possible source of the supernova is an ageing star cluster, which has since moved away from Earth, independent work led by TU Berlin has proposed in a parallel publication. The cluster has no large stars left, suggesting they have already exploded as supernova, throwing out waves of debris.